Don't get lost trying to find the right referencing style. There are literally thousands of different referencing styles used by academic institutions all over the world. Cite This For Me covers over 1,000 of them, and we’re constantly updating and adding more styles as we find them, saving you the legwork. What are the referencing styles? The most popular referencing styles include Harvard, APA and MLA. 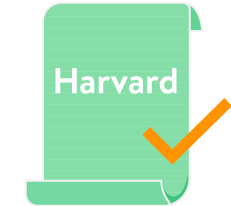 Harvard and APA are Author-Date style systems typically used in the humanities, with Harvard particularly popular in the UK and Australia. MLA is most often applied by the arts and humanities in the United States. Vancouver, used mainly in medical and scientific papers, Chicago and Turabian are other commonly used referencing styles. Remember, this is just the tip of the iceberg, with thousands of styles out there it’s crucial to find out which one you’re supposed to be using and to get it right. The style you need to use will depend on the subject and academic institution you’re studying at. Make sure you use the right one by consulting your department and follow the guidelines exactly, as this is what you’ll be judged on when it comes to marking. Referencing isn’t just there to guard against plagiarism – it’s an important academic discipline in its own right. Follow the rules, don’t jump from one style to another and make sure it’s complete. If you need a hand with your referencing then why not try the Cite This For Me app or web tool? With 1,000 (and counting!) styles in our system we’re sure to have the one you need.